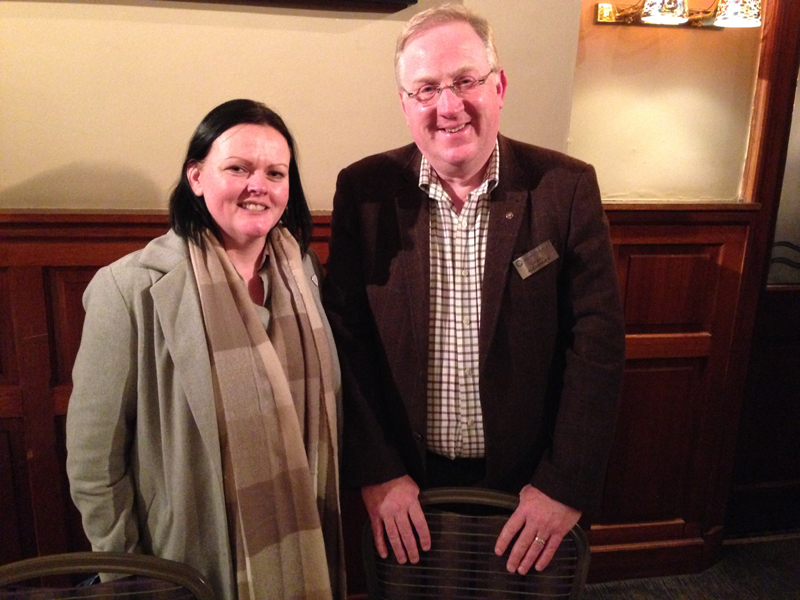 Following the club’s recent Treasure Chest donation to the Unity Grill, we were delighted to welcome Angela McNay to speak to us about the realisation of her dream to establish a successful social enterprise restaurant in Ayr. Angela began by describing how she became enthused with her vision. After obtaining her BSc in Social Policy she volunteered for 3 years with South Ayrshire Foodbank (a branch of the Trussell Trust network). This opened her eyes to the desperate need of some people and families to obtain regular meals. She described a number of harrowing examples of individual circumstances and the dire situation, especially of children in South Ayrshire, in which people can find themselves through no fault of their own. She called the statistics shocking and the impacts on individuals socially isolating. People were stigmatised by having to resort to foodbanks and felt a need to repay in some way. Thus germinated in Angela’s mind the idea of starting a social enterprise restaurant which would provide good nutritious meals for all, regardless of ability to pay. Angela explained how this would work in practice and voiced her disappointment that the working social model for the venture had been misunderstood in some quarters. The restaurant which opens shortly, will operate as an attractive, open-to-all, conventional restaurant with a menu and price-list. Crucially however, it will allow those in difficult financial circumstances, by prior discreet arrangement, to obtain a meal through a payment-in-kind involving a contribution to the day-to-day working of the restaurant or its ancillary social activities. Angela sees the enterprise eventually as much more than just a restaurant but as a social hub offering a variety of support services. Angela finished by acknowledging the generous donations by a number of local businesses, clubs and individuals of professional services, money and food to help kick-start the enterprise. Craig Alexander gave a well-deserved vote of thanks to Angela and said that since he passed the restaurant each day he was looking forward to his first morning coffee there as soon as it opened.